Though I don’t have it often enough, lobster is one of my favorite gustatory indulgences. 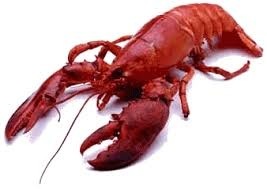 My sister Janet almost always finds it too rich, so I don’t prepare it when we’re together, but up into his eighties, before the stroke that landed him in a nursing home these past five years, my dad would treat himself to a lobster once a month or so. He was always a small eater and a lobster that weighed in at a pound and a quarter was perfect for him. He, like me, tackled the ruddy crustacean with such vigor that when he was done, only those two long pincers and a pile of picked-clean shells were left. Pop and I both preferred to eat lobster at home. This is not dainty eating. It’s about slurping, cracking, and sucking away happily as bits of creamy lobster meat go flying onto your shirt or into your eye. It is not “first date” food. Real lobster eaters can barely carry on a conversation with a dining companion when they are dissecting a lobster; such is the devotion and concentration needed to get at all that glorious meat. 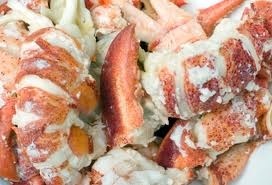 Another aspect of lobster eating that my Pop and I firmly agreed on is the need for nothing more than some drawn butter and perhaps a chunk of lemon with which to lightly moisten and brighten the meat. No baked potato with sour cream or crusty rolls. No tossed salad with (or without) blue cheese or a piece of corn on the cob. We need to concentrate, for God’s sake! Nothing could deter us from the task at hand. He and I were the kind of lobster eaters who eat every part, including “that green stuff” and the creamy, custardy lining of the claws. 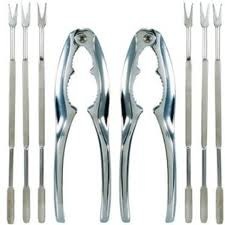 We knew how to properly utilize the tools of the trade, from tiny-pronged forks to nutcrackers. We were adept as surgeons at laying the lobster on its back and cutting through the tail, straight through its center, to remove that great big muscle-like chunk of meat. There are various ways to cook a lobster. You can boil or broil it, or even lay it on the grill. My father and I felt they are most succulent when steamed, though we disagreed initially on the amount of cooking time that is just right. My father swore that he always, with perfect results, steamed his pound and a quarter lobster for seven minutes. I went with eight to (no more than) nine. 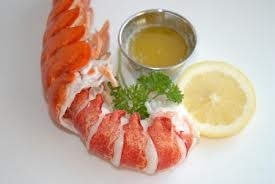 It’s hard to tell if a lobster is done because it is not something you can poke a skewer into or cut with a knife. It should be bright red in color, but it’s bright red in color both at six minutes and at ten. 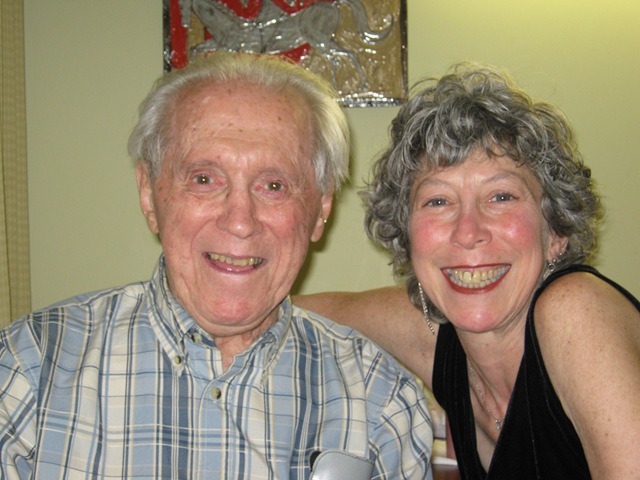 I have a wonderful memory of some ten years ago, my pop and I got together at his apartment for dinner. 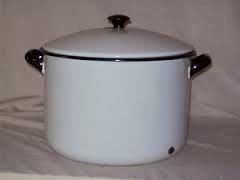 He had picked us up a couple of lobsters, and when I got to his place he, as was his nature, had already set the big white enameled pot, fitted with the steamer and filled with an inch or two of water, on the stove. 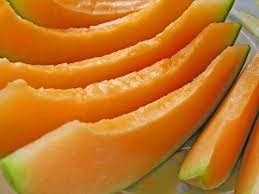 In the fridge were slices of cantaloupe on little dessert plates, and he had set the table with all the necessary utensils. There were plenty of large napkins on hand as well. We had our drinks in the living room, and then I moved to the dining room while my dad lowered the lobsters into the pot of simmering water and set the timer. Seven minutes later we were sitting across from each other pulling at clearly undercooked lobster. My father felt awful, but the good thing about lobster is that it is simple enough to return it to the pot for another minute or two. 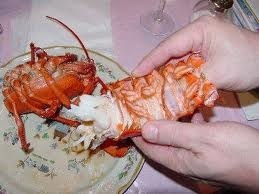 The result was sweet, firm lobster meat that was utterly enjoyable. We didn’t mind the quiet in the room. After all, we’d talked to each other plenty while we’d had our cocktails. 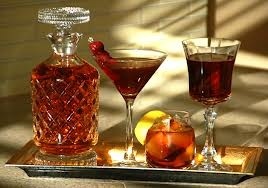 That said, I’m sure there are people out there who do like their lobster with some kind of accompaniment. Homemade potato salad or cole slaw seems right, particularly during the warm summer months when lobster, clams, or any seafood, for that matter, calls out to be eaten. If you’re going to get messy anyway, something with a bit of mayo will fit right in. In as small bowl, whisk together yogurt, mayonnaise, zest, juice, sugar, salt, and pepper. 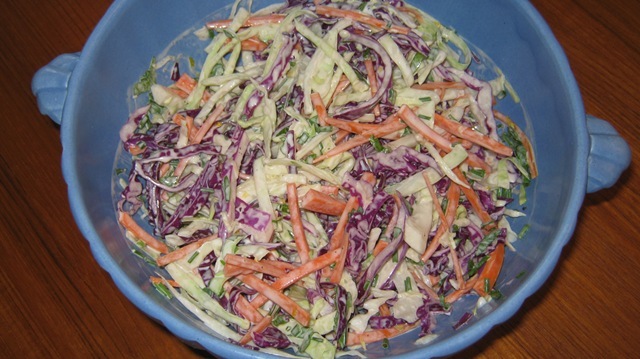 Place cabbages and carrots in a large bowl. Pour dressing over all and toss well. Add chives and parsley and toss again. Refrigerate for an hour or so to allow flavors to develop. Taste for seasoning and serve. Hey Jude! My Dad and I are also big lobster fans! I’ve often wondered if he eats the shells when no one is looking! I like mine with a bit of potato salad. My father and I were both the real lobster eaters in the family, working them over to extract every last bit of…everything! Thanks for the memories…and of course, that great recipe too! Whether it was crabs or lobsters, my Dad and I were at the table long after everyone else got tired and left. It’s a special time we shared, savoring every last morsel. Nice to know we weren’t the only ones.